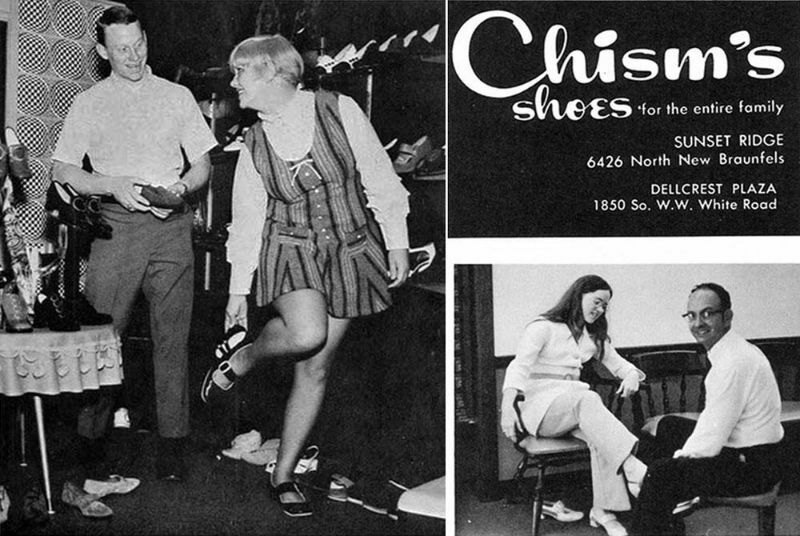 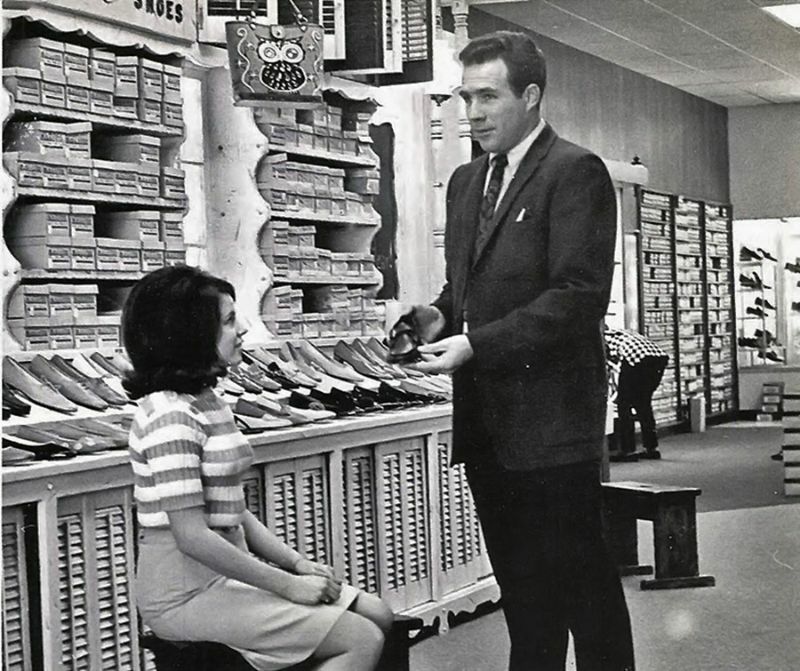 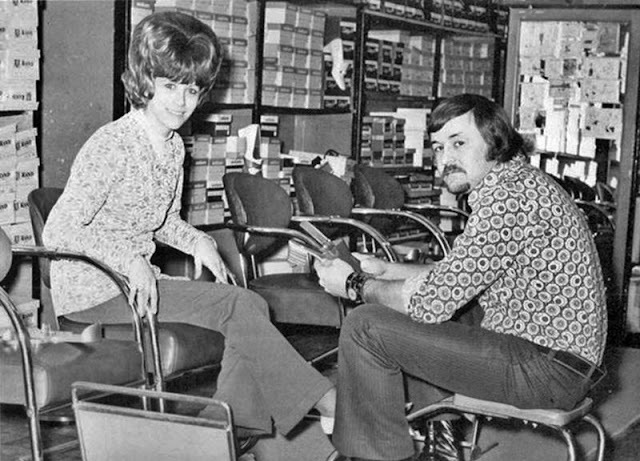 Once upon a time, shoe salesman was a semi-respectable job that paid a living wage. 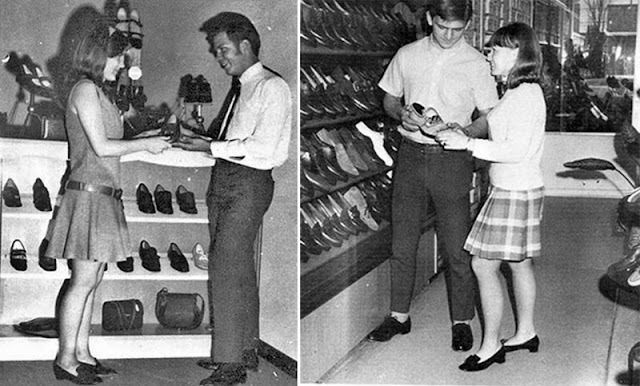 Back in the day, there weren’t cheap shoe stores that sold footwear manufactured in sweat shops for pennies. 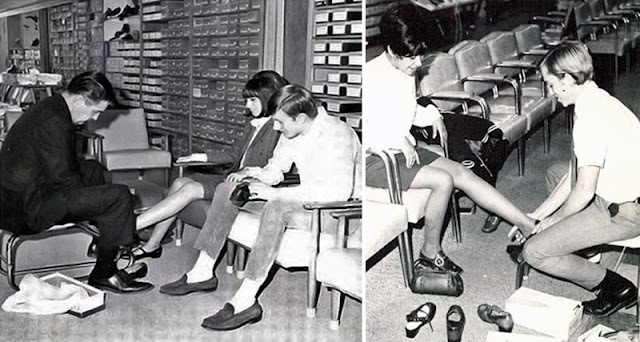 Buying a shoe was a serious purchase! 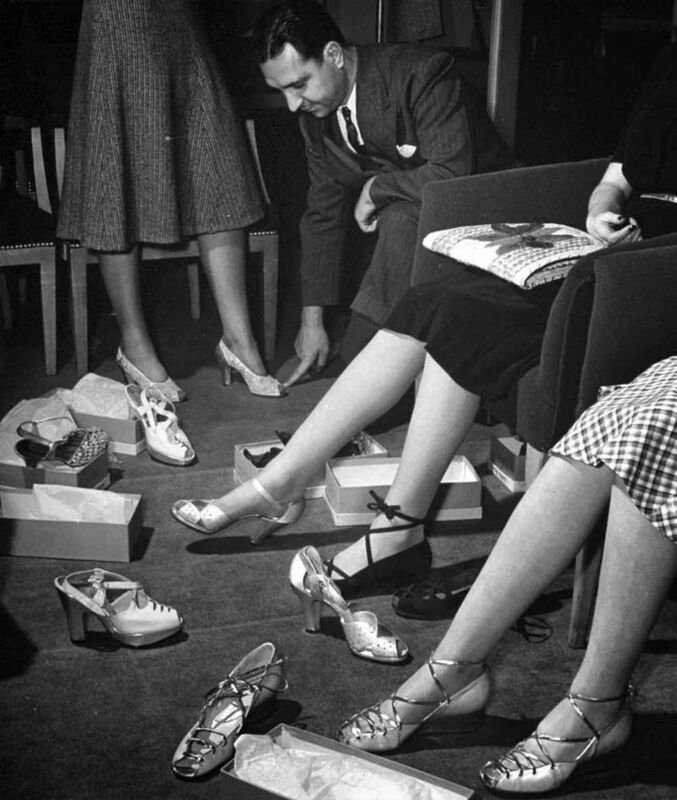 These vintage photographs, primarily found photos from Flashbak, of ladies shopping for shoes, feature their humble manservants hard at work selling them their beloved footwear.